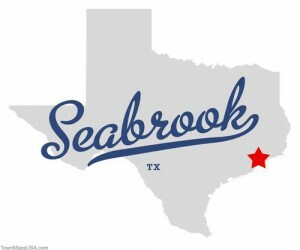 Seabrook is a cozy seaside town along the coast 30 minutes southeast of downtown Houston, Texas. Its location along Clear Lake and Galveston Bay provide residents and visitors with the pleasures of boating, fishing, good eating, and enjoyable times in the natural beauty of the area. The rich mixture of commerce and recreation brings visitors from around the world. The taste of fresh seafood beckons many to travel to Seabrook to pick up fresh fish or to enjoy a meal at one of Seabrook’s fine restaurants. There is no shortage of choices to enjoy with family and friends. Local attractions including the Kemah Boardwalk and NASA Space Center provide great get-away fun and explorations. Seabrook’s natural beauty has been enhanced by an extensive collection of more than 100 acres of parks with hike and bike trails that join the refreshing coastal breeze with the beauty of nature. 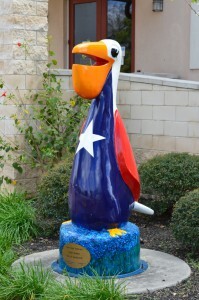 The Great Texas Coastal Birding Trail runs through Seabrook and draws bird watchers from far away to spot over 300 diverse species of pelicans, sandpipers, ospreys, waxwings, buntings, and countless songbirds. Pine Gulley Park’s 1,000 foot fishing pier provides many a meal of fresh fish in the parks surroundings of a Karankawa Indian camp site, wooded area, wetlands, and nature trails. The parks picnic grounds are often filled with laughter as families enjoy the playgrounds and picnic tables for a barbeque get away. Fun on the water is king in Seabrook. As home to the third largest marina in the U.S. many boaters from miles around come and enjoy the breezes and salt spray. The Kemah Boardwalk draws many for fun and laughter with its amusement park and the fine dining of the Aquarium Restaurant with a great view of a 50,000-gallon aquarium filled with marine life along with Joe’s Crab Shack, Landry’s Seafood House, The Cadillac Bar, The Flying Dutchman and Willie G’s Seafood & Steak House. Come and visit, but plan to stay awhile – maybe the rest of your life. Seabrook is a great place to live and play, and the Bay Area Citizen’s Association is committed to helping keep it that way.